ST. LOUIS, Mo. 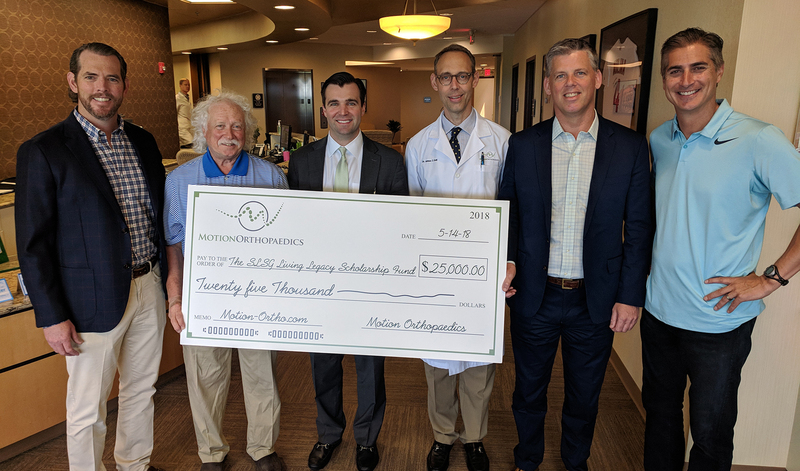 – St. Louis Scott Gallagher received a $25,000 donation from Motion Orthopaedics to benefit the SLSG Living Legacy Fund. Motion Orthaopedics specializes in the management of sports-related injuries to the musculoskeletal system and also helps manage arthritic conditions and work-related injuries. Their practice is comprised of orthopedic surgeons, Drs. Farley, King, Milne, Bassman, and Krummenacher and Dr. Doll who specializes in Physical Medicine and Rehabilitation. The SLSG Living Legacy Fund is an endowment that allows for scholarships to be awarded to deserving players who have talent and passion but may not have the financial resources to join the club or continue as a valued player.